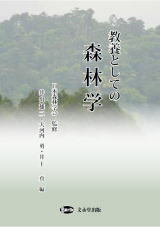 抄録：　Assessment and monitoring of changes in land use are among the most important means of understanding of forest ecosystem dynamics. The main objective of this study was to investigate the spatio-temporal variability of forest cover changes by use of spatial pattern analysis. The study was performed in Başkonuş Forest Enterprise in the Mediterranean city of Kahramanmaraş in Turkey. The spatio-temporal variability of forest structures from 1992 to 2012 was analyzed by use of the Geographical Information Systems tool ArcGIS 10.0 and the spatial statistical package FRAGSTATS. The results indicated that forest areas increased from 11,446 to 11,827 ha, which is approximately 2 % of the study area. There was also a substantial increase (9.7 %) in productive forests, whereas degraded forests decreased by 7.8 %. Silvicultural treatment, rehabilitation, and conversion of coppice forests to high forests were the main forces driving forest cover changes in the study area. According to FRAGSTATS results, the total number of patches increased from 554 to 1610 between 1992 and 2012. As a result, the forest ecosystem in the study area became highly fragmented over the study period, because of the increase in the number of patches and the decrease in mean patch size; this negatively affected maintenance of biodiversity in the region. 抄録：　"Natural" flooding events are increasing in China as a consequence of climate change. Poplar plantations are widely established in northern China and there are large areas located in easily flooded lowlands. To investigate the response of poplar plantations' water use to flooding, we measured xylem sap flow in irrigated and non-irrigated poplar plantations, covering both before flooding and during flood periods in the growing season. Stem xylem sap flow, soil moisture, and meteorological variables were measured using thermal dissipation sensors, time-domain reflectometry, and a weather station, respectively. The results showed that the daily courses of sap flux density (SFD) followed the patterns of solar radiation (R s), vapor pressure deficit (VPD) and reference evapotranspiration (ET0). Under similar meteorological conditions expressed by the same daily values of R s or VPD, the daily averages of SFD were lower in the flooding period than those in the before flooding period, and the percent attenuation of SFD caused by flooding was lower in irrigated trees than non-irrigated trees. In addition, the nocturnal SFD for both irrigated and non-irrigated trees were higher in the flooding period than those in the before flooding period, and the difference in trees with irrigating management was significant. It is concluded that: (1) SFD in poplar was reduced by flooding and that the effect was lower in irrigated trees than in non-irrigated trees; and (2) nocturnal SFD increased in response to flooding and the increases were significant in irrigated trees, suggesting that irrigation decreases the vulnerability of poplar plantations to flooding. 抄録：　Drought is the major abiotic stress with adverse effects on growth and productivity of plants. It induces the expression of various genes that are involved in stress response and tolerant/sensitive phenotypes. In this study, the expression of several genes were analyzed in response to dehydration in almond (Prunus dulcis 'Sefied') to shed light on the underlying genetic basis of water-deficit tolerance in almond. The advantages of using almond as a model system for studying dehydration tolerance in woody species are its small diploid genome and its adaptation to drought. Differential expression technique, cDNA-AFLP (amplified fragment length polymorphism), was used to find transcripts accumulated in young trees subjected to water-deficit treatment. Twenty transcript-derived fragments (TDFs) with differential expression between control and stress conditions were generated, amplified, and sequenced. The TDFs showing high homology with genes having known functions were validated by quantitative real-time PCR and their possible function(s) were discussed. These genes include: 2-deoxyglucose-6-phosphate phosphatase, protein kinase MK5 (AFC2) and urease, which up-regulated by 1.61, 2.39 and 4.87 fold under the water-deficit stress condition, respectively. In addition, network analysis unraveled a drought response mechanism displaying activation of the ABA signaling pathway via phosphorylation by 2-deoxyglucose-6-phosphate phosphatase and protein kinase MK5. Protein kinase MK5 was found to be a central element in the drought response network, displaying numerous interactions with RNA-splicing proteins, the sugar-mediated signaling pathway and an epigenetics response (histone phosphorylation).